The first train will depart from Health Sciences/Jubilee Station at 5:42AM bound for NAIT on Sunday. After a long delay, the day has come for the Metro LRT NAIT extension to open. On September 6 the first passenger trains will be traveling down the 3.3km extension from Churchill Station to NAIT Station. Although the line will begin from Health Sciences/Jubilee Station and from Century Park Station during peak hours, it’s this section that has received all the attention for the project. The surface track will connect the Ice District at MacEwan Station, Royal Alexandra Hospital at Kingsway/Royal Alex station, and Kingsway Mall, NAIT, and Blatchford development at the temporary NAIT station. It’s expected to add 13,000 passengers in LRT ridership. The grand opening celebration will be delayed until the line is fully functioning with the signalling system. Here’s a walking preview of the extension filmed over a year ago. It already feels like a tradition in Fort Saskatchewan as the city celebrates its 3rd annual Sheep Week. There’s a big flock of sheep in Legacy Park beside the actual Fort that entered at 1pm on Thursday. On Labour Day Monday, there will be a parade of sheep going down the historic downtown and baack to the park. It will definitely be a sight to see 50 sheep going down main street (100 Ave) in the thriving municipality. 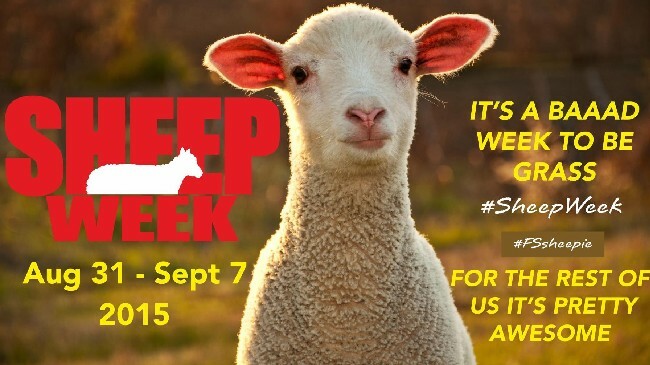 If you head over, be sure to take a #FSsheepie to enter the #SheepWeek contest. More information about the events for the entire week here. With multiple marathons and two international racing events in the next 10 days, it’s the perfect storm to start off September with Race Week in the city. 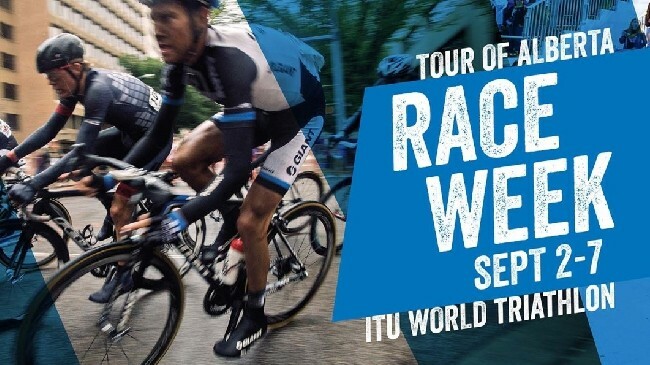 The ITU World Triathlon is a go from Hawrelak Park down Groat Road this Saturday, and the Tour of Alberta will enter Edmonton on Labour Day. Also don’t forget that next weekend will be a mega weekend with 5 marathons. Be ready to cheer on and be prepared for your weekend commute ahead of time as Gorilla Run, Gorilla Run, Strides for Change Edmonton, MEC Edmonton Race Four, and Terwillegar Towne Triathlons run into next weekend. 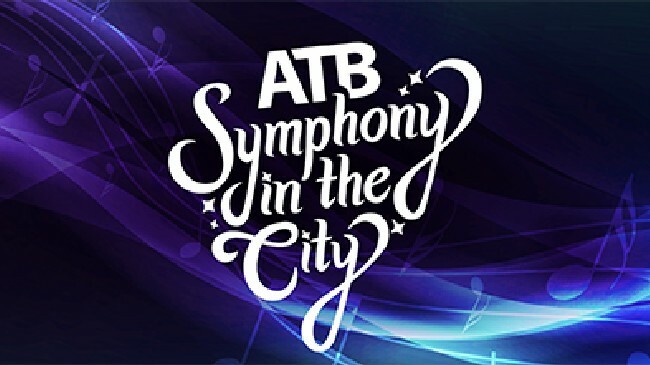 After a very successful first ATB Symphony In the City last year by the High Level Bridge, it’s back this year with both the 1940 and 2000 versions of Fantasia in Churchill Square on Saturday and Sunday. You’ll be able to take pictures with some Disney characters, grab a souvenir photo at the ATB photo booth, and see some footage of films with live music from the Edmonton Symphony Orchestra. It’s a great free event for the entire family, promising to have an explosive finale. For the final weekend of the season, the 102 year-old 1392 steam engine will be taking visitors for a ride. It’s $14 to take your family there, and $4 tickets for a train ride. If you skip the train ride, you can still spend hours exploring the entire collection they have. 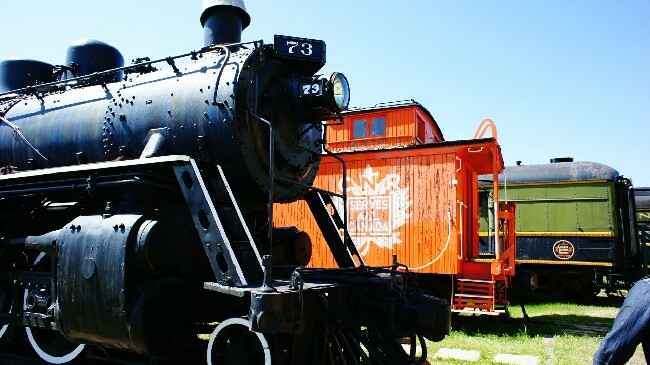 Although it’s a lesser known attraction, it’s the largest railway museum in Alberta and it’s located within city limits. To get there, take Manning Drive towards Fort Saskatchewan until you reach the large Sikh temple, then take the service road back west and follow the signs for the north turn off to the location. Note that due to the historic design of the trains and carriages, it may be difficult to accommodate wheelchairs. The Ukrainian Cultural Heritage Village will be open for the last time before it closes for the tourist season. 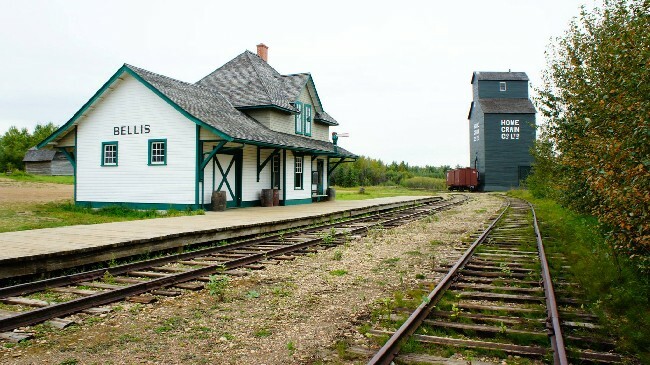 Only 25 minutes east of the city, visitors can experience the atmosphere of Fort Edmonton without spending a whole day’s earnings. There’s no special events this weekend as they celebrate their Harvest of the Past on September 13. Take a ride on the horse wagon around the settlement showing the historical representation of Central Alberta on the homestead. I don’t know if that sentence made sense; it sounded cool. Regular admission applies for the Labour Day long weekend, so $12.50 will admit a family into the village. After a day at the Ukrainian Village, on Sunday, you can spend some time at Elk Island National Park to see where the largest pure-bred plains bison roam. Then as the dusk sets in, you can party all night long under the stars. 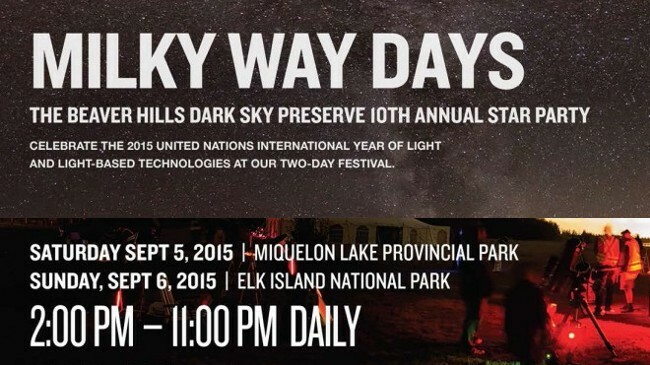 For the price of entering Elk Island National Park ($20/vehicle) you can experience the Beaver Hills Dark Sky preserve this weekend for their 10th annual Star Party. There will be a laser walk and interpreters to guide you. Note that Saturday’s event is at Miquelon Lake Provincial Park, while Sunday is at Elk Island National Park. More information of all the astronomic party is here. 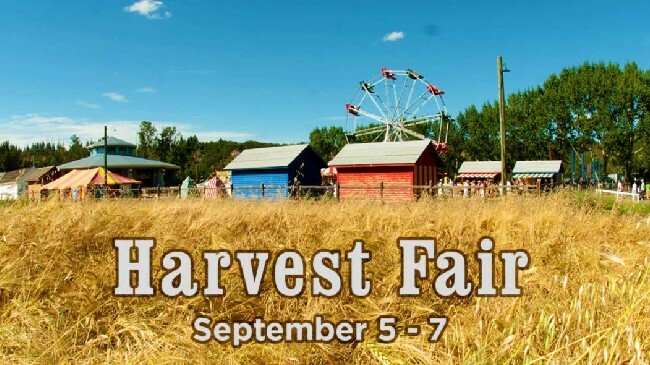 A kickoff concert on Friday night with The Dungarees will begin the Harvest Fair weekend at Fort Edmonton Park. See the York boat arrival in 1846, craft and recipes from 1885, make a 1905 yarn doll, and cook up a storm in 1920 during the event. After Engine 107 went out of service, ride the Engine 42 locomotive as it runs this weekend. September hours, new engine. There is no family rate listed on the website. For a family of 4 to attend, it would cost $98.91 at the door, and $101.74 online. Adult admission is $27.51, and seniors (65+) & child (2-17) $21.95. There is 30% off admission if you take the ETS bus down from South Campus Station.